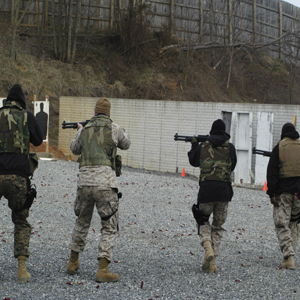 Five Blackwater guards — all military veterans — have been convicted in the September 2007 shooting, including four last week in a high-profile case in Washington. But while Prince continues to question whether politics tainted the case, he says he has never interacted with the former employees who were involved. 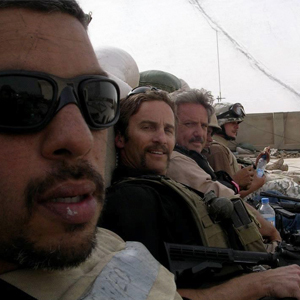 Prince agreed to do interviews as his bestselling book, “Civilian Warriors: The Inside Story of Blackwater and the Unsung Heroes of the War on Terror,” came out on paperback this week. 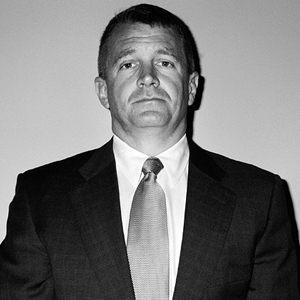 The release date was planned for some time, but it comes just days after the convictions of the former Blackwater guards put the company back in the headlines. “Heck of a good timing, huh?” Prince noted wryly. Nicholas A. Slatten, 30, of Sparta, Tenn., faces a mandatory minimum life sentence for murder. Paul A. Slough, 35, of Keller, Tex., Evan S. Liberty, 32, of Rochester, N.H., and Heard, 33, of Knoxville, Tenn., each face a mandatory minimum sentence for manslaughter and other crimes. A fifth guard, Jeremy Ridgeway, pleaded guilty to manslaughter previously, and testified in the trials that concluded last week. Prince’s career is still humming, though. 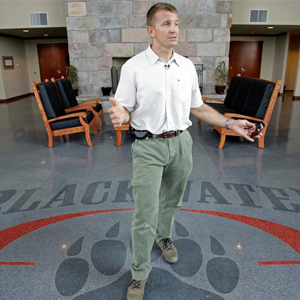 A former Navy SEAL and son of a manufacturing tycoon, he sold Blackwater in 2010, reportedly for about $200 million. It had been rebranded by then as Xe Services, and was later renamed Academi. Prince has steered clear since the sale, visiting its Moyock, N.C., compound only once in January 2014 for a visit to a gun range while on a hunting trip on property he had kept, he said. Instead, Prince became the chairman of another security firm, Frontier Services Group. It focuses heavily on providing logistics and aviation support to companies in Africa, he said. The firm was incorporated in Bermuda and is listed on the Hong Kong Stock Exchange, with numerous Chinese investors. 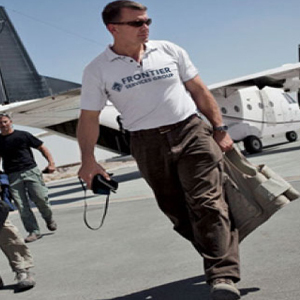 In the last year, Frontier has sunk money into two aviation firms with headquarters in Kenya, Kijipwa Aviation Limited and Phoenix, according to the company’s last earnings report. The deal for Phoenix, announced in July, cost $14 million and puts Frontier in charge of a company that flies regularly out of not only Kenya, but Angola, Ethiopia, Tanzania, Uganda and Puntland, a semi-autonomous region of Somalia. Why Phoenix? The company has a fleet of Cessna aircraft and “holds important customer approvals from the United Nations, the British government and the U.S. government,” according to Frontier’s earnings statement. Buying the company will allow Frontier to “immediately and substantially expand the size and reach” of Frontier’s operations and compete for the business of construction, mineral and hydrocarbon firms, it said. Frontier bought a 49 percent stake in Kijipwa. The Kenya Gazette, an official newspaper for the government in Mombasa, reported that its aviation license renewal was rejected this month, raising questions whether Phoenix will face similar problems. Prince is hesitant to discuss the expansion, although he noted that medical evacuation is one role for Frontier. Prince also deflected questions about his current residences. He spends about one-third of his time in the United States, he said, adding that it’s “not as much as he should be” considering he still has children in school. He owns homes in Virginia and Abu Dhabi, according to his book, but asked about them he dodged the question with sarcasm. Prince made news in September by criticizing the Obama administration’s strategy to take on the Islamic State militant group in Iraq and Syria in comments published by the Daily Beast. He followed up by penning a blog post along the same lines on Frontier’s website. The remarks picked up by the Daily Beast came at a conservative Maverick Political Action Group dinner in Washington, and were not supposed to be publicized, he said. 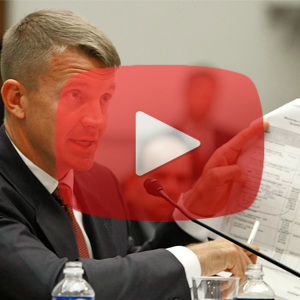 Prince said he wrote his book to set the record straight on Blackwater’s legacy — “to diffuse the notion that we have horns growing out of our heads.” He also wants it to warn others about the politics of Washington. 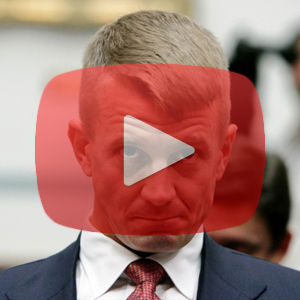 Blackwater lost 41 men in combat and had three of its 73 aircraft shot down, but is still villified, he said. “I wrote all these things as a cautionary tale to say that the political winds can shift quickly in Washington, and the hot air in Washington can quickly blow towards your business,” he said. Prince said he knows a lot of bright people in the private sector who could offer advice to policy makers on how to handle the militants in Iraq, but he doubts he’ll be the one getting involved. 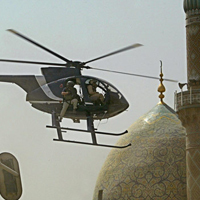 By: Dan Lamothe covers national security for The Washington Post and anchors its military blog, Checkpoint. 6 years LOGCAP experience. 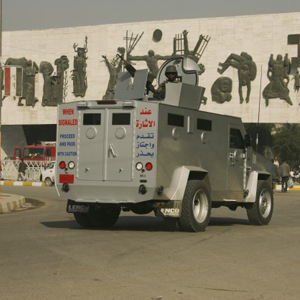 KBR Iraq Mosul H2 Diamondback,H3 Q West , Kabul Camp Phoenix Afghanistan ,Dyncorp Leatherneck Camp Bastion Kandahar Afghanistan , Fluor Air Base Bagram Afghanistan.